Popular Melia Condo-Hotel in Celebration. Upgraded two bedroom unit with King size bed in master and two double size beds in 2nd bedroom. Fully furnished on 4th floor with balcony looking down on the 360 degree vanishing edge pool in courtyard. Maintenance free luxurious stay with fully equipped kitchen in unit. Owner can stay up to 179 days a year and the rest to be utilized as hotel room for owner's income. Hotel has pool side restaurant and bar and fitness center in Celebration Health just across the street. Located at the entrance in the town of Celebration. 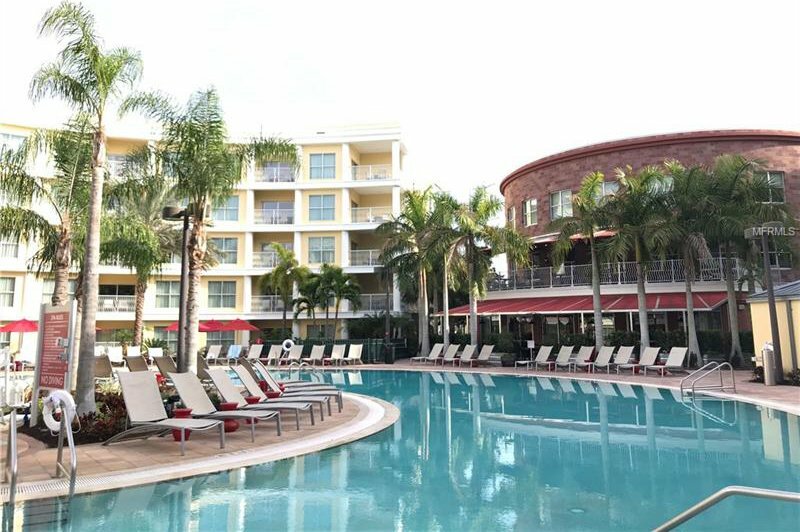 Minutes from a variety of restaurants and shops, world famous theme parks, major highways in Central Florida, as well as Orlando International Airport. The property came back on the market due to the buyer being unable to secure financing.